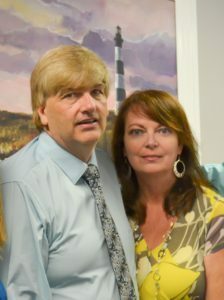 Bobby Garvin became the lead pastor on June 1, 2018. 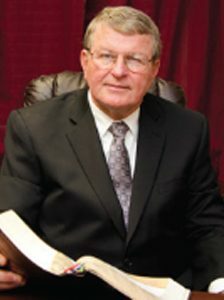 He has a Bachelor degree in Church Education from Baptist Bible College in Springfield, Missouri; Master of Arts in Pastoral Ministry from Master’s International University of Divinity in Evansville, Indiana; Doctor of Biblical Studies from Andersonville Theological Seminary in Camilla, Georgia; and a Doctor of Divinity from Master’s International University of Divinity in Evansville, Indiana. He is very interested in the Jewish culture and has completed a twelve (12) course correspondence studies from the Institute of Jewish-Christian Studies and numerous studies from the Institute for Hebraic-Christian Studies. Pastor Bobby loves the ministry that God has given to him and strives to leave footprints in the heart of hungry leaders who multiply. He has a real passion to reach the Tri-County area with the gospel of Jesus Christ. He places supreme emphasis on expository preaching. Bobby met his wife, Nancy, while the two were students at Baptist Bible College in Springfield, Missouri. Bobby and Nancy were married on August 1, 1981. God has blessed them with two children (John and Kristan). They have given them three beautiful grandchildren. In his spare time, Bobby enjoys family, sports (Football: Florida Gators and Miami Dolphins; Basketball: Duke Blue Devils, and Boston Celtics), and spending time with Nancy by taking day trips, documented by lots of photography. Pastor Howard became a Christian while serving in the U.S. Navy in Charleston, SC. His study for the ministry began following his discharge from the Navy and upon graduating from college he moved to New York to be a church planter. After twenty years in Buffalo, New York he returned to Charleston and was subsequently called as Pastor of Ladson Baptist Church. Pastor Howard holds degrees from Baptist Bible College and Southern Wesleyan University. Pastor Howard has two children, AJ and Susanna. Frank Romanelli was saved in 1990. He graduated in Oklahoma with a Law Enforcement and Public Relations degree. He has been involved in the State and Federal Government for the past twenty-five years. He has been involved in numerous leadership programs, including the VA ministry and the motorcycle ministry for six years. He is an avid soul-winner and is an asset to Grace Chapel. He is married to Dawn Romanelli. Brandon Thompson is the worship leader and a deacon. Brandon’s goal is to encourage and lead the people of Christ with music that is pleasing to the Lord. He enjoys singing and playing the piano and guitar. 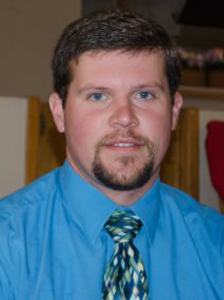 Before moving to SC, Brandon actively attended Temple Baptist Church in Kentucky. Brandon has had the opportunity to be involved in two gospel singing groups. Brandon is married to Kristan Thompson and they have two children. Brandon is an avid Arkansas and Dallas Cowboy fan. Ted has a Bachelor degree in mathematics from Bryan College, a conservative Christian liberal arts college. He attended Dallas Theological Seminary in Dallas, Texas. He has over 40 years of experience in various types of church ministry, including 6 years as a full-time pastor. His training included many courses of Bible education, music, 5 years of Greek, and 3 years of Hebrew. He taught high-school math for 33 years. Ted’s desire is that his Lord, Jesus Christ, may do in him, to him, and through him anything He wants to do. Ted’s first wife died after 36 years of marriage in 2004. Ted and his second wife, Dr. Sylvia Barnes, also a widow, were married in 2005. Ted has a son who is an addiction psychiatrist in New Orleans, and a daughter living in Arizona, and 4 grandchildren. Following the tragic loss of another son to a drug overdose, Ted struggled with his own addiction problem for 7 years. Having found freedom from that addiction, Ted has established the Addiction Recovery Program (ARM) helping those who are still suffering from addictions in their personal lives or the life of one they love. In his spare time, Ted enjoys time with Sylvia, reading for fun and inspiration, listening for new Christian songs to learn, and stamp collecting. His favorite sport is basketball, particularly college teams and the Clevland Cavaliers (with or without Lebron James). 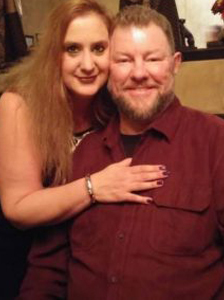 Billy Frick has lived in the tri-county area his entire life and currently lives in Bonneau with his wife Michele. Billy is involved in our choir ministry and special music. He truly has a servant’s heart and is willing to help where needed. Billy is currently employed with Averitt Express as a truck driver. In his free time, he enjoys reading history, spending time with friends and his granddaughter. God has blessed Billy and Michele with two children (Jessica and Daniel) and one grandchild. Mary E. Kane joined Grace Chapel in June of 2010 and has been the secretary since 2012. She has been married to Fred Kane for 38 years with 7 children and 19 grandchildren (so far). She is active in the church as a choir member, teaches Children’s Wednesday Night Bible Study Class, ladies’ visitation and loves to help serve meals for the Addiction Recovery Ministry. She accepted the Lord as her Savior in August of 1983 during her husband’s naval tour here in Charleston. Nancy Garvin is our Director of Children. Nancy has been married to Pastor Bobby Garvin since 1981, after having met in1979 at Baptist Bible College in Springfield, Missouri. We have been blessed to have two children and three grandchildren. She was saved under the ministry of her pastor/father at Temple Baptist Church in Kentucky. She has served the Lord in different capacities, whether it was choir, nursery, AWANA, Sunday School or Junior Church ministries. Teaching children of the love of God through the Scripture and making the stories, lessons, examples He left us in His Word become alive in their hearts leading to the ultimate goal…salvation. Dawn Romanelli is our Director of Pre-school. She graduated from Farmingdale College with a degree in Early Childhood in 1991. She has been involved with children for the past fifteen years in the public sector and in serving Grace Chapel. She has a real passion for children and realizes she is a stepping-stone to Christ. She is married to Frank Romanelli. Kristan Thompson is our Director of Primaries. She enjoys teaching the children knowledge of the Bible through songs, stories, games, and art. She has always had an interest in teaching young children and having a Christian influence in their life. She is currently a K-5 teacher at Cathedral Academy. Kristan is married to Brandon Thompson and have been blessed with two energetic young boys. David has 30+ years experience in offset printing and design. He has lived in Goose Creek for 25 years and raised 3 children with his wife Kian. He understands Grace and believes Salvation is in the Lord only. Corey has lived in South Carolina his entire life. He graduated from Goose Creek High school in 2011. Corey is an avid fan of various sports. During his time at Goose Creek high school, he played baseball for his beloved Gators and was also a part of the high school’s Spirit of Gold drum line marching band. Corey loves football and is a diehard Clemson Tiger fan. Corey began running sound in 2010. While attending Lighthouse Baptist Church, he met a lovely young lady, Chelsey Holloway. 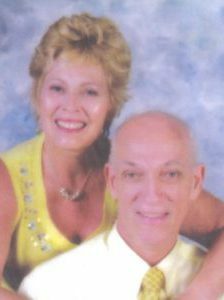 They were united in marriage September of 2015 and currently live in Moncks Corner. Corey is employed with Berkeley County School district as an electrician. In his free time, he enjoys hunting, fishing, spending time with friends, and anything to do with sports.